When it is rated mostly by foreigners, you've got to go with a pinch of salt. Food was alright, but most would probably go for the atmosphere. Nice place overall. Prices are rather expensive. Staffs are mostly uninterested to serve unless if you're a white/farang. Only one male staff was extra kind in making sure we were well taken care of, the rest are too busy sticking their noses in the air. Won't be coming back to eat or drink here, unless if it was to say hi to the one kind young man. Totally brilliant, lovely staff and great food. Went last night and had delicious green curry (veg was expertly al dente) and crispy chicken with fantastic rice. Papaya salad was lush and chicken satay was divine with the sauces. Nice to have some live music too. Cocktails were good and overall the meal was great value. Highly recommend. Amazing restaurant. One of the best we visited in Thailand. Portions are large! Prices are fair (not cheap but reasonable for a fancier restaurant). Very tasty food with authentic Thai taste (did not seem toned down for turists). Waiters speak decent English (some speak very well) and give you nice recommendations on what to order and the spiciness of the dishes. Highly recommended. This place has great atmosphere. They are always busy but have plenty of seating and fast service. The food is good but doesn't quite live up to the hype. It's a great place to go with a group or on a romantic date. They often have live dinner music. The owners speak perfect English. Nice location inside the old city. 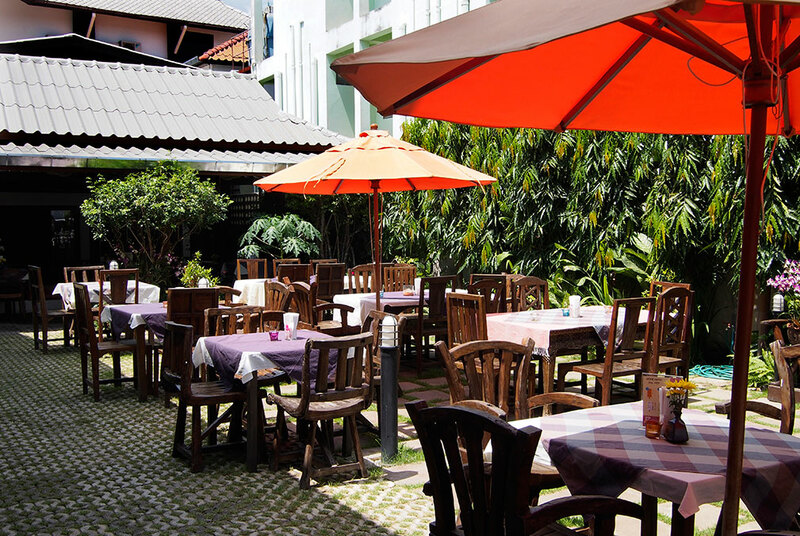 I recommend it as it's many people's favorite restaurant in Chiang Mai and deserves its popularity. Great,tasty food. Staff is friendly and speak several languages. Cozy seats in and outside. Price a little higher than most places, but it's worth it. One of my favorite places in the old city.